A poor hiring process impacts the business in many ways, so it never ceases to surprise me that companies don’t make hiring more of a business priority. With a poor hiring process, there’s a much higher risk of recruiting the wrong person. The direct impact of hiring a low-performing employee is fairly obvious: they’re not going to perform the job adequately, they may make expensive mistakes, and they’re not going to achieve the outputs and results they were hired for. The indirect impact is less obvious. A poor performer who stays can have many knock-on effects. First, mistakes or issues with delivery can impact the performance of other members of the team or even other teams. Second, if the poor performer’s problems are around attitude or personality, that can cause waves throughout the team and beyond, and impact the performance of everyone around them. Beyond that, however, there’s something else we need to consider, and it’s something hardly anyone ever gives thought to: the impact of hiring a “solid” performer, someone who puts their head down and delivers everything demanded of them… and nothing more. Hiring an OK performer when you could have had a high performer has an opportunity cost too. Imagine hiring a solid performer for your sales team. Their target for the year is $1 million, and at year end they’ve achieved it. You may not see that as a problem—after all, they delivered their target. But what if a stellar performer in the same role could have spotted additional opportunities in the market that would have allowed them to close $10 million in the same period? The hiring process that turned off that stellar performer and left you with only that OK performer to hire has just cost you $9 million. And because they’re doing their job and meeting targets, it’s going to be hard to get rid of them. So, next year you’ll lose out again. Electronic Recruiting Exchange estimates the financial impact of hiring a top performer at 10 to 100 times the person’s compensation, so hiring a single top performer at $100,000 per annum salary has the potential to add $1 million to $10 million to a company’s revenue every year that they stay with the company. If you don’t think a single lazy or incompetent employee can damage an entire organization, think again. The negative impact of a poor hire spreads across the organization through their relationships—internal and external—and their interactions with peers. Psychologists say that negative interactions have a far more profound and lasting effect than positive interactions do. Past research shows that adding just one “bad apple” to a group can drive down performance by as much as 30 to 40 percent, even when other employees are functioning at their peak. Why? It turns out that a bad apple’s destructive behaviour is contagious, distracting and dragging down everyone around them. Imagine a team of five members built on collaboration. If a new person comes in who isn’t living up to their commitments, they’re going to take down the whole team—especially if they’re a crucial piece of the delivery model. A bad apple isn’t necessarily someone who behaves in a deliberately disruptive way, however. Over the years, I’ve worked with many people who were very sociable and loved to talk, but they distracted people from their jobs. Unfortunately, that kind of behaviour can easily be overlooked by management because it’s not overtly destructive, and eventually it becomes accepted behaviour. Assuming that you do spot the bad apple, what do you do about the situation? Is it a problem that can be resolved through coaching and guidance? Will you sit it out and hope they decide for themselves that they’ve made a mistake and the role isn’t for them? Or are you going to try to performance manage them out as quickly as possible and cover up your hiring mistake, which means you’ll need to hire a replacement again? 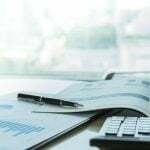 According to a study by the Society for Human Resources Management, the higher an employee’s position and the longer they remain in that position, the more it costs to replace them and the harder it is to find suitable candidates. Those two factors together make it tempting to give bad hires in a senior role even more leeway than someone more junior. Interestingly, the SHRM study suggests that senior hires are less likely to work out than junior-level hires, but at those higher levels it can take up to two years for the problems to become apparent—if the person doesn’t leave first. Ultimately, however, the biggest problem is that recruitment is often reactive: you hire when a position becomes open and has to be filled. The best time to look for candidates, on the other hand, is before that position becomes available—before, in other words, it becomes an emergency. 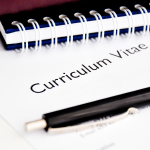 That allows you to take your time finding the best candidates, vet them extensively, and reach the best decision. Unfortunately, that proactive approach only ever happens in about 1% of hiring situations. Simon Parkin is the Founder of The Talent Company, a Career Partners International Firm. 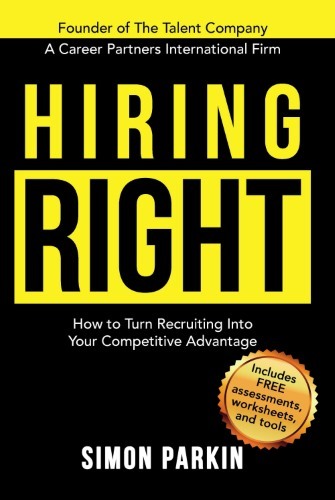 Simon’s best selling new book “Hiring Right: How to Turn Recruiting into Your Competitive Advantage” is available on Amazon and Chapters Indigo. Simon is recognized as a global thought leader in the acquisition and management of talent with over 20 years of diverse recruitment, talent and human resources leadership experience. As part of The Talent Company, Simon works with organizations across Canada and the U.S. on improving the way they recruit talent.